Don't stop moving: another city will be revealed. 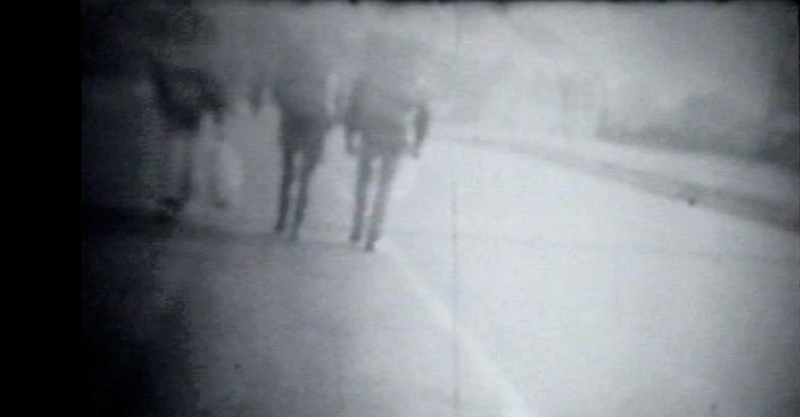 "Moto perpetuo" is a documentary about an urban trekking through the outskirts of Turin. In this short movie, Francesco Monaco and Simone Muscolino observe the most peripheral and abandoned area of the city. Beyond deserted factories and bypasses, spectators can discover these places from the perspective of an authentic itinerant camping journey. For three days and three nights, two cameras filmed about seventy kilometers of walking, including the reactions of people involved, architects, friends of the authors and whoever was interested in this original experiment of urban exploration. The video seems mostly conceived to register suggestions from the margin of the contemporary city, with its black-and-white, blurry vision made out of fragments of everyday moments of the hike alternated to glimpses of the suburban cityscape. The absence of dialogues and an original soundtrack that seems to be coming out from the disturbed frequencies of an old radio station underlines the power of the images used to narrate the ‘perpetual motion’ of the peripheral city. The experimental short movie was produced by Cliostraat for the section "Interventi metropolitani d'arte" within the Biennale dei giovani artisti dell'Europa e del Mediterraneo (Turin, 1997). Selected for the 1998 edition of the International Festival for Architecture in Video (then BEYOND MEDIA Festival) organized by Image.